The University of California, San Francisco (UCSF), Fellowship in Family Planning began in 1991 as the first Fellowship site. Primarily based at San Zuckerberg Francisco General Hospital (ZSFG - the city and county hospital of San Francisco), UCSF’s unique program allows fellows to participate in a fully integrated clinical and research environment. Fellows work directly with leaders in the field of family planning, conducting clinical trials, epidemiological studies, qualitative research, policy evaluation, and international training and research. Fellows provide clinical care at one of the largest second-trimester outpatient clinics in the country. In addition to all ob/gyn subspecialty fellowships, UCSF has fellowships in infectious diseases and women’s health epidemiology. 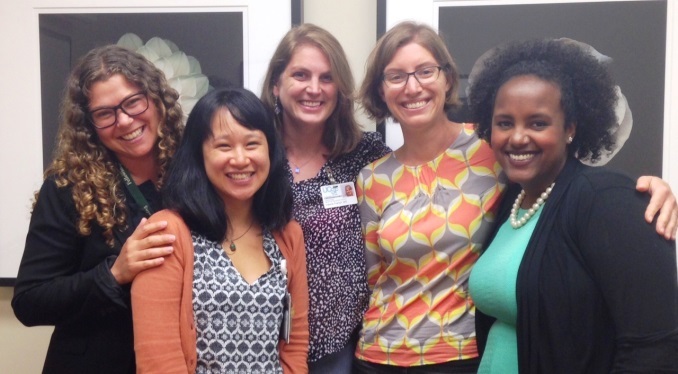 Along with advanced family planning clinical skills, fellows at UCSF solidify their generalist skills by serving as attending obstetricians and general gynecologists. Fellows are mentored by Director Philip Darney and Co-director Jody Steinauer, both nationally and internationally recognized experts in family planning research and education, as well as Christine Dehlendorf, Associate Fellowship Director for Family Medicine, nationally recognized researcher in contraception. In addition to ob/gyn graduates, the UCSF fellowship accepts one family medicine-trained fellow every other year. Program application deadline: Applications for the Fellowship in Family Planning are only accepted online www.familyplanningfellowship.org. The application deadline is July 1 for ob-gyns and family medicine. Program Directors: Director: Jody Steinauer, MD, MAS, Co-Director: Philip Darney, MD, MSc ; Associate Director: Jennifer Kerns, MD, MAS, MPH.